A private Catholic hesitates to speak out — will he pay in votes? 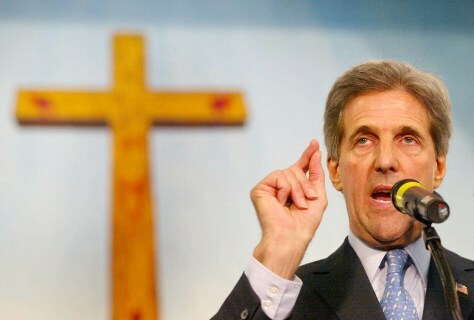 Sen. John Kerry spoke to the congregation Oct. 10 at Friendship Missionary Baptist Church in Miami. Some of his advisers are pushing for him to make a major address on his religious faith in a high-profile Catholic setting.